April 20, 2007: An analysis by University of Rochester physicists of electron and neutrino scattering data on protons and neutrons shows a complex spatial charge and magnetization structure of the proton and neutron. 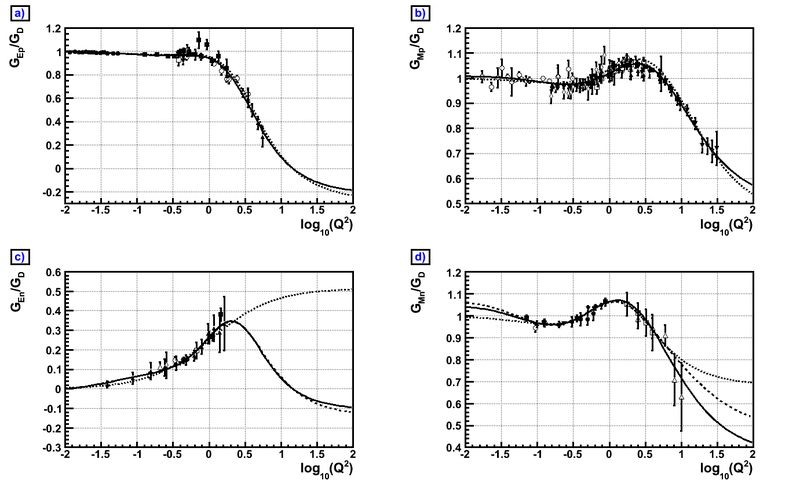 The new analysis incorporates the effects of the quark structure of the proton on neutron on their charge distribution. The neutron consists of a positively charged up-quark in the center surrounded by two negatively charged down-quarks on the outside. For the proton, it is reversed, and the distribution of positively charged up-quarks extends to larger radius than the distribution of negatively charged down-quarks. The spatial distribution of electric-magnetization in the proton and neutron seen in electron scattering is different from the weak (axial)-magnetization observed in neutrino experiments. 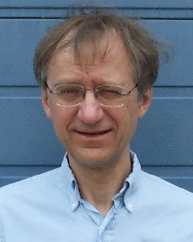 Arie Bodek, George E. Pake Professor of Physics and Chair of the Department of Physics and Astronomy at the University of Rochester, Dr. Sergei Avvakumov, Dr. Robert Bradford, and Dr. Howard Budd, have worked on an updated description of the distribution of electric charge, electric-magnetization, and weak (axial) magnetization inside protons and neutrons. 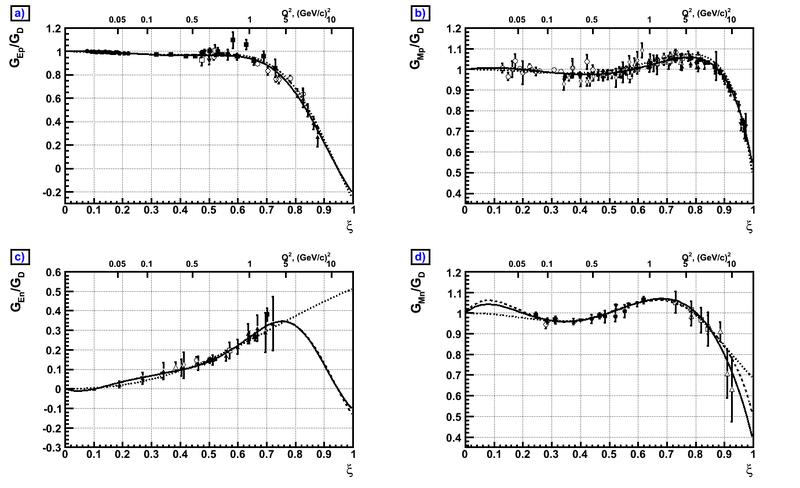 The new analysis incorporates the effects of the quark structure of the proton on neutron on their charge distribution. Protons and neutron are composed of quarks bound together by the strong color force. The proton is composed of two positively charged up-quarks (charge +2/3e) and one negatively charged down-quark (charge -1/3e). The neutron is composed of two negatively charged down-quarks (charge -1/3e), and one positively charged up-quark (with charge +2/3e). Within the quark model, the proton and neutron are mirror images of one another. This is referred to as isospin symmetry. 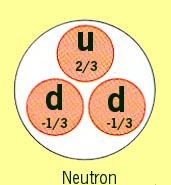 A neutron can be considered to be the same as a proton with every down-quarks replaced with an up-quark and every up-quark replaced with a down-quark (typically referred to as isospin symmetry) The motion of quarks inside protons and neutrons results in a spatial distribution electric-charge, electromagnetic-magnetization and weak (axial)-magnetization inside protons and neutrons (commonly referred to as nucleons). Because electrons have a spin, they are small electricallycharged magnets. Therefore, electrons are scattered by both the electric-charge and the magnetization inside nucleons.Elastic scattering of high-energy electron beams from targets composed of hydrogen and deuterium enable researchers at Jefferson Laboratory to measure how electric-charge and electric-magnetization are distributed in the space inside protons and neutrons. Elastic scattering experiments involve collisions in which after the scattering there is only a single intact proton in the final state. Similar experiments with beams of neutrinos and antineutrinos (which scatter via the weak-force) provide information on the space distribution of the weak (axial)-magnetization inside protons and neutrons. In contrast, inelastic scattering experiments involve energetic collisions of electrons (or neutrinos) with the quarks inside protons and neutrons, and after the scattering, leave a final state with many additional particles. Inelastic scattering experiments are used to measure the momentum (and energy) distribution of quarks inside protons and neutrons. The Rochester researchers report on a new analysis of all neutrino scattering experiments on deuterium to obtain the most precise determination of the distribution of the weak (axial)-magnetization inside nucleons. They have also done a global analysis of data from all elastic electron scattering experiments using theoretical concept called "duality". Duality relates the spatial distribution of the quarks to their momentum (and energy) distribution inside nucleons. Their work focused on determining in precise detail the electric, magnetic and axial form-factors of the proton and neutron (from which the space distributions of electric-charge and the two kinds of magnetization can be extracted). By using these "duality" relations, they obtain a more precise description of the electric charge electric-magnetization and weak-magnetization distributions inside protons and neutrons. They find that the space distributions of electric-charge, electric-magnetization, and weak (axial) magnetization are all different. The electron scattering data on the behavior of the electric form-factor of the neutron indicates that the neutron, which is electrically neutral, has an inner core which is positively charged (composed of one up-quark) surrounded by an outside shell which is negatively charged (composed of two down-quarks). 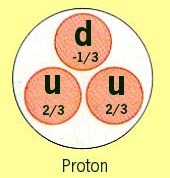 By isospin symmetry, the proton is the same as a neutron, with the up and down quarks reversed. The fact that the up-quark and down-quark distribution are different in the proton, is confirmed by the data on the electric form-factor of the proton. It is found that for the proton, the up-quark (charge +2/3e) distribution extends to larger radius than the distribution of down-quarks (charge -1/3e). The data on the magnetic form-factors indicates that the electric-magnetization distribution follows an exponential with an average radius of about 0.85 Fermi (a Fermi is 10-15 meters) in both neutrons and protons. 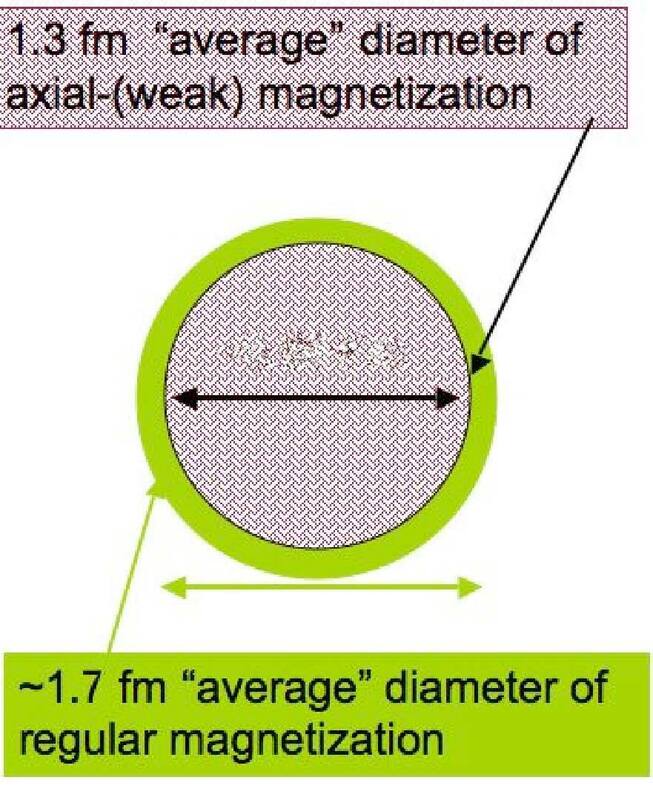 The data on the axial-form factor indicates that the axial (weak) magnetization also follows an exponential with a smaller average radius of about 0.65 Fermi (for both neutrons and protons). The measurement of the axial-magnetization with neutrino beams involves collisions in which up-quarks are changed into down-quarks and down-quarks are changed into up-quarks. The elastic scattering experimental data that was used in this analysis came from measurements done in various laboratories in the USA, Europe and Japan. The electron scattering data comes primarily from experiments at the Jefferson Laboratory and the Stanford Linear Accelerator Center. The neutrino scattering data is from Fermi National Accelerator Laboratory Brookhaven National Laboratory, and the CERN complex in Geneva Switzerland. The more precise extraction of the axial-form factor is also used for improved modeling of the scattering of neutrinos from neutrons and protons. These improvements are essential for the new growing field of neutrino oscillations. Recently, researchers have discovered that neutrinos oscillate from one type to another. Neutrino oscillations experiments are done by investigating the collisions of neutrinos with protons and neutrons as a function of distance from the neutrino source. The phenomenon of neutrino oscillations was discovered by investigating the interactions of neutrinos (which are produced by cosmic rays in the upper atmosphere) in the massive Super-Kamiokande neutrino detector in Japan. In order to further study this phenomenon, researchers in Japan have embarked on the construction of a new accelerator (JPARC) that will produce very intense beams of low-energy neutrinos for the next generation neutrino oscillations experiments. US Physicists are also planning to build a next generation neutrino oscillations detector called Nova that will use the new high intensity low energy NUMI neutrino beam at Fermilab. Reliable models of how low energy neutrinos interact with nucleons are required if these next generation of precise neutrino oscillations experiments are to achieve their goals. The University of Rochester researchers who have done this analysis are also involved the construction of the new MINERvA neutrino detector at Fermilab. This low energy neutrino experiment will provide much improved new precise data on the axial form-factor of the nucleon. Better and more precise understanding of the structure of the nucleon provide the basis for all current and future experiments in High Energy Particle Physics. 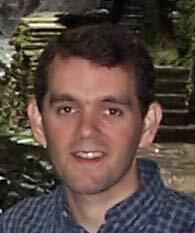 Professor Bodek was awarded the 2004 APS W.KH. 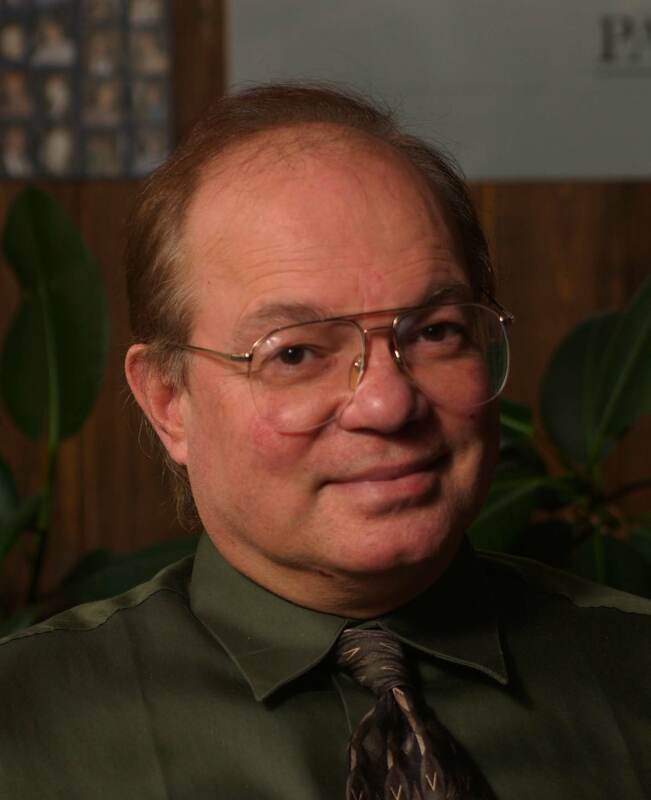 Panofsky Prize in Experimental Particle Physics "For his broad, sustained, and insightful contributions to elucidating the structure of the nucleon, using a wide variety of probes, tools and methods at many laboratories." This research is part of Bodek's continuing research in the area of nucleon structure. factor fits versus the Nachtman scaling variable x. Figure 1(a) and 2 (a) show the ratio of the proton electric form factor to the dipole form. The solid line is our new duality based fits and the dotted line is the previous parametrization of Kelly. Figure 1 (b) and 2 (b) show the ratio of the proton magnetic form factor to the dipole form The solid line is our new duality based fits and the dotted line is the previous parametrization of Kelly. Figure 1 (c) and 2 (c) show the ratio of the neutron electric form factor to the dipole form . The solid line is our new duality based fits (with d/u->0). The dashed line is our new duality based fits (with d/u->0.2) , and the dotted line is the previous parametrization of Galster (also used by Kelly). Figure 1 (d) and 2 (c) show the ratio of the neutron magnetic form factor to the dipole form . The solid line is our new duality based fits (with d/u->0). The dashed line is our new duality based fits (with d/u->0.2) , and the dotted line is the previous parametrization of Kelly.